S&P NetAdvantage, sometimes called S&P Capital IQ has rolled out a new interface (and possibly a soft rebranding as NetAdvantage seems to have been wholly replaced with the Capital IQ trademark). The reworked top navigation bar makes it much easier to find some fabulous content and functionality that had been less transparent in the legacy platform. And the ubiquitous, but undeniably useful blank search box has been added. The Company tab provides access to profiles, filings and investment research. This is were you can also access detailed information about company officers and directors including “relationship trees” and company news and developments. Screening for companies or equities is front and center. The Markets tab provides excellent overviews of government, economy, industry, transportation & communication for national economies. 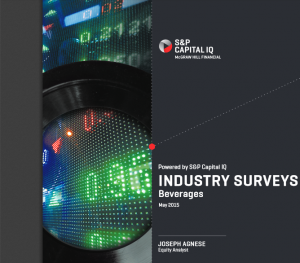 Industry Survey report are still the go to source for understanding how an industry works, but now they include high level sector analysis as well. The library will make the new and legacy interface available side by side at least through the end of the year.